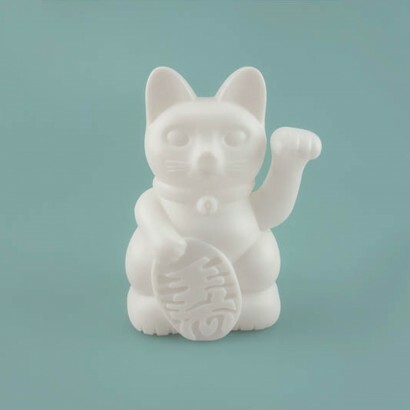 Bring good karma into your home with a Japanese Maneki - Neko or lucky waving cat! 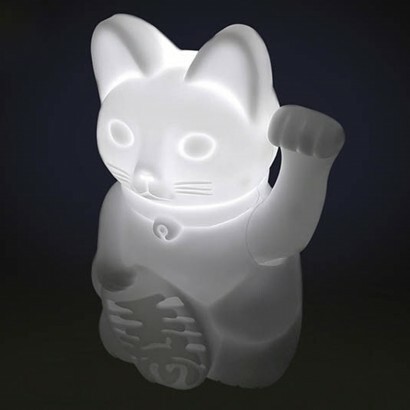 Lit by a white LED, this kitsch lucky charm shines with a bright white glow illuminating the cat's paw as it continuously beckons. 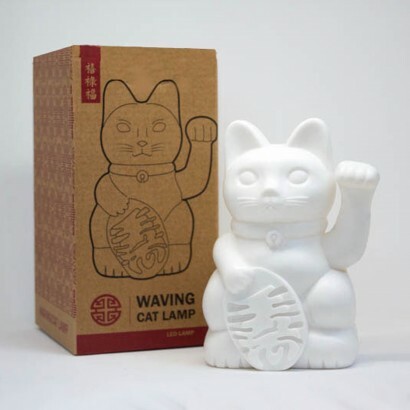 Battery operated, this unusual light can be placed anywhere in your home to give a subtle glow and a touch of mysticism for superstitious cat lovers welcoming visitors and bestowing luck upon it's happy owners.